Spring is the time of year to invest in a new fragrance. Why? Well, besides the fact that some of the world’s biggest fragrance brands bring out their highly anticipated new releases, there’s also the matter of the season’s dramatically changing. With the warmer weather arriving (hurray! ), our stronger winter scents have earned a well deserved break. New fragrance releases come with a new territory ‘ Are we really ready to let go of our old faithful? Well with our new fragrance releases, we think you’ll be more than prepared to jump ship to our perfect scents for spring! Perk up your mood and embrace the warmer weather with a fresher scent that is wearable for any occasion. With Dolce & Gabbana, Elie Saab, Marc Jacobs and much more to choose from, where do we begin? If you’ve delved deep into the bloggersphere recently, you’ll have seen Calvin Klein Endless Euphoria popping up all over the show. For their newest fragrance release, Calvin Klein enlisted the help of celebrities, fashion and beauty bloggers to capture what Endless Euphoria is all about. Romantic and dream like, Endless Euphoria is intensely fresh yet delicate, putting it high in our ranks for the ultimate spring fragrance. 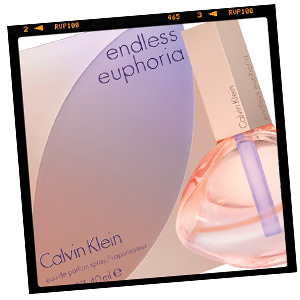 Featuring notes of Cherry Blossom, Mandarin and Rose, Endless Euphoria aims to be the fragrance that you instantly think of when you get that ‘euphoric’ feeling; be it something you experience at a key moment in your life, or simply when you see the first flower buds on a warm spring morning! Dream of Italy, specifically the Mediterranean island of Sicily when you wear Dolce & Gabbana Dolce. Named after the Italian dynamic duo, Dolce is a hot contender for this year’s best spring fragrance. Pretty is the word that comes to mind when it comes to describing the Dolce spring fragrance. Presented with an amazing video campaign, Dolce tells the story of Italian love. Soft and feminine, this highly wearable fragrance boasts notes of Papaya Flower, White Amaryllis and Musk to create a soft yet fresh scent that delicately lingers on the skin throughout your day. Were you as excited as we were when we heard that Marc Jacobs was releasing a set of summer edition Daisy scents? We bet you were because so far, these summer edition scents have become some of our best sellers! Daisy Delight and Daisy Eau So Fresh Delight are limited edition fragrances that sum up spring perfectly. The packaging is only one of the million reasons why we need to have this fragrance in our springtime collection. Daisy Delight is the fruitier of the two scents, developing with notes of Freesia and Crisp Apples while Daisy Eau So Fresh contains sweeter undertones with notes of Blood Orange and Raspberry. Suitable for any age group, Daisy brings out the ultimate girly girl within us! With St.Patrick’s Day just around the corner, could there be a more fitting fragrance? 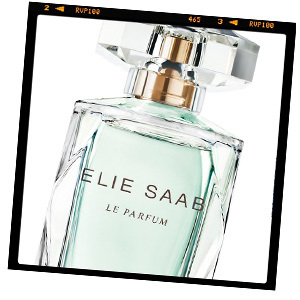 Elie Saab released L’Eau Couture as their springtime scent, complete with this striking green tinted glass bottle which represents the ultra chic motto of the Elie Saab brand. Inspired by the couture collections at an Elie Saab show, L’Eau Couture is a radiant scent that features notes of Magnolia and Orange Blossom which create a new level of sensual freshness. We could spray this all day every day to get us in the mood for an amazing spring season.